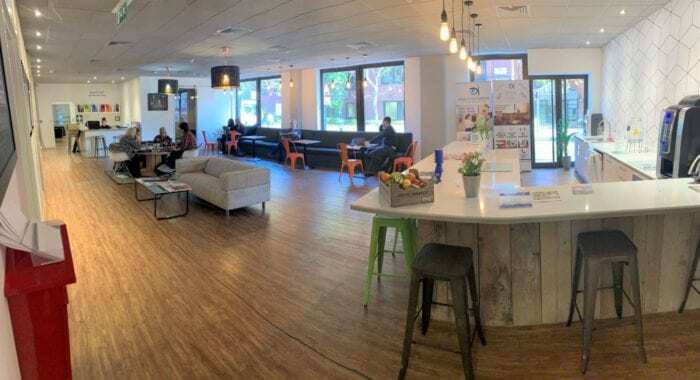 Vision Co-working Spaces, a serviced office provider, has started to “disrupt the office market and raise standards in Essex” by turning away from the traditional office space environment. Vision’s main aim is to create a working environment that inspires people to work hard and help progress not only themselves but the company and industry that they are involved with. They offer a full turnkey solution for any size business – from entrepreneurial start-ups to established businesses valued at £50 million. The Virtual Office & Business Presence options have been very successful as they have helped a number of newly formed companies to not only establish themselves, but Vision have also been able to offer business support services through their close relationship with Invest ESSEX. 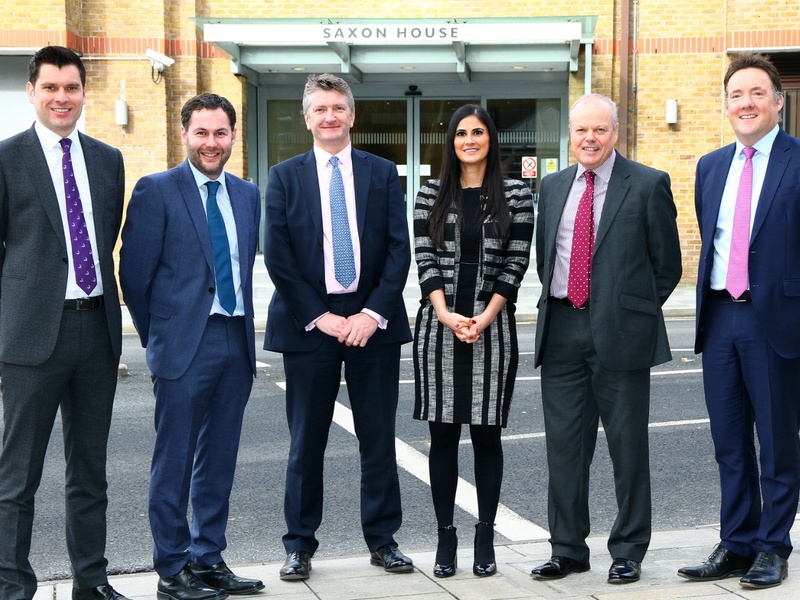 Since opening their doors in January 2018, Vision has had great responses from large organisations such as Willmott Dixon (Construction), Ellison’s Law (Solicitors) and Salvation Army (Insurance) who are now set up in Chelmsford for the first time. Vision creates an environment which encourages staff’s work rate and effort levels, enabling them to drive their respective businesses forward. 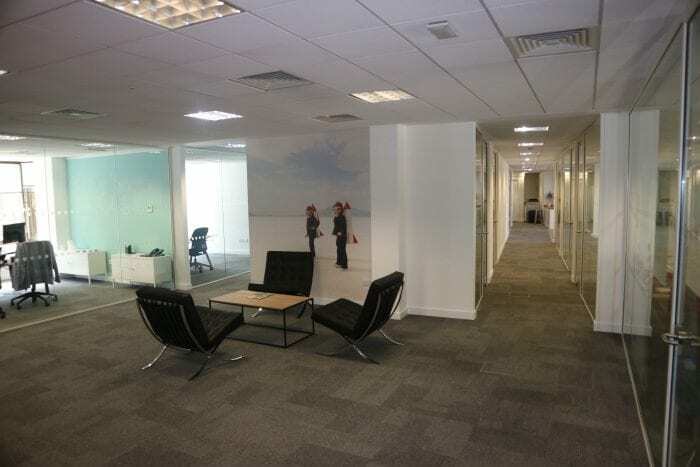 All offices are surrounded with acoustic strengthened glass which has part obscuration for a level of privacy, whilst feeding businesses with natural light. All private suites come with full access to the building and all telephone and reception facilities. Access to all kitchen and open areas are permitted and each suite has complementary meeting token’s and free print and photocopier access. Vision Co-working Spaces is designed with large windows throughout the building to catch the natural light, with fresh air being sporadically released across the two floors to keep staff energised and productive. There are numerous positive colours in rest areas which release endorphins within the human body to help deal with well-being and stress at work. 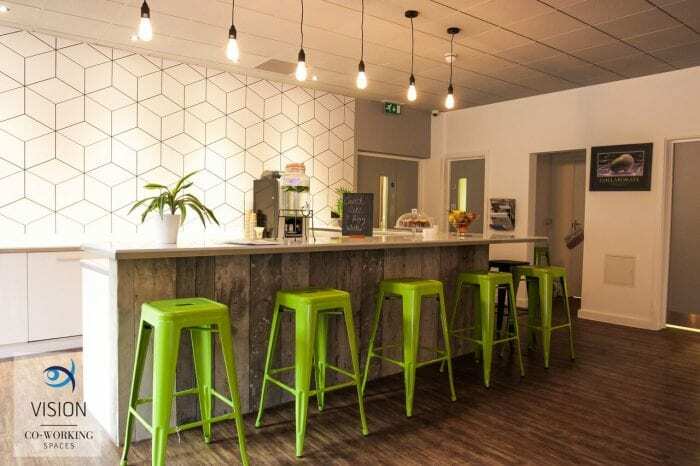 Co-working office: These offices involve a shared working environment but unlike in a typical office environment, those in the co-working spaces are usually not employed by the same organisation or company. Workers still work independently but share the same values, goals and ideals that come with sharing work spaces. 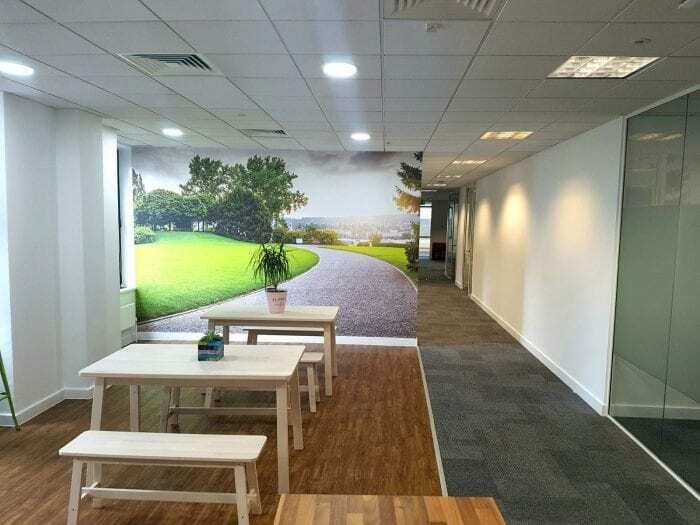 Private office: A single, private office space with easy move-in as Vision offer an overnight move from staff’s previous place of work to Vision’s building, with instant Internet/Phone access. Virtual office: This service provides a business address without a physical dedicated office space. Mail handling/forwarding is dealt with the in-house receptionist. Telephone service has the option to answer calls using the business name and if out of the office or using the virtual office service, call forwarding is available. Invest ESSEX and Vision have forged a close working relationship in 2018, with the business support agency providing advice to some of Vision’s occupants as well as attracting new tenants such as the leading construction and property company Willmott Dixon. Once Invest ESSEX became aware Willmott Dixon were looking to set up a satellite to the east of their Hitchin (Hertfordshire) HQ. 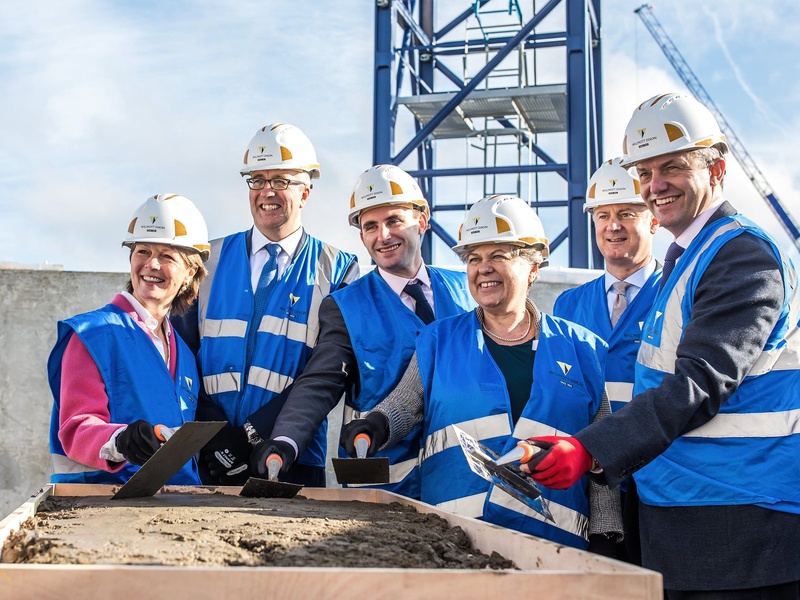 They proposed Essex as the ideal location for Willmott Dixon’s Eastern Regional Office and also specifically proposed our new co-working space in Chelmsford. 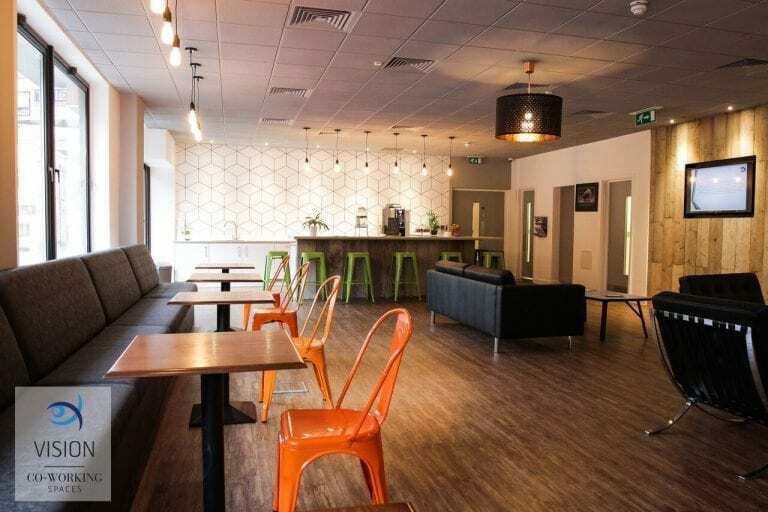 Joseph Price, co-founder of co-working space Vision, which moved into Saxon House at the start of 2018, is well aware of the growth potential for Chelmsford and its thriving economy, which houses over 17,000 businesses and 85,000 jobs. to make it into the national report.